Dam: Grapevine Farm's Bella Sera & Cria! Grapevine Farm's Bella Sera & Cria! Bella is an outstanding light rose grey female sired by the awesome "Aussie .38 Special"!!! WOW!!! 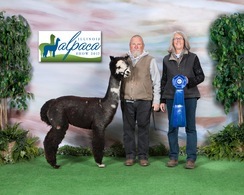 .38 is a light rose grey MULTI CHAMPION ROCK STAR!!! Incredible male to say the least!!! 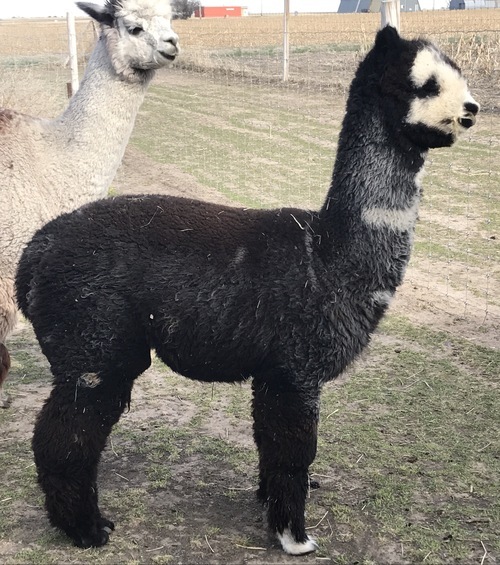 Bella sells with her gray female cria, sired by, Mile High Back 2 Black! She simply amazing! Continue the legacy of ATV Adonnis! We are now offering Adonnis' Altitude NS for sale! Here is your chance at ownership of this stunning male that is throwing some very incredible blue ribbon winning offspring. 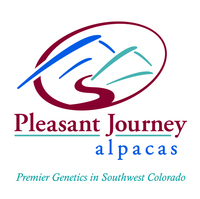 Altitude's son PJA Altitude's GreyHawk started his breeding career in 2014 for us and we know that the genetics that Adonnis' Altitude has passed along into this young jr herdsire will make him also become a top notch herdsire. Giovani is all we could ask for: Solid conformation, big boned frame, fine fleece with a beautiful crimp style and wonderful head. She took a third place at GWAS behind our PJA Sonic's Sweet Reflection. 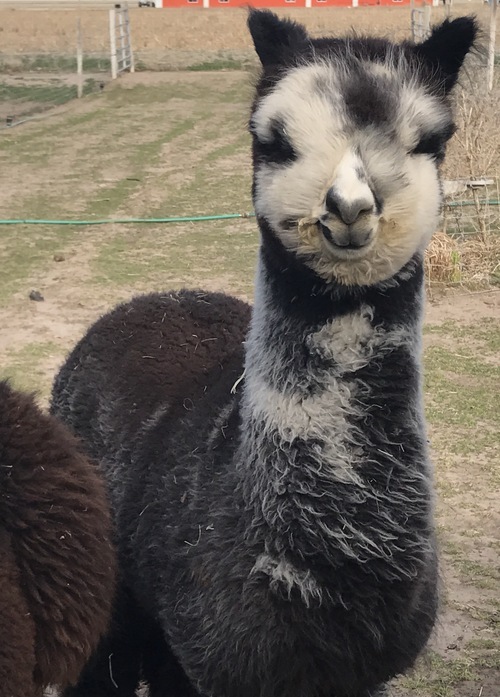 Gio is bred to our Adonnis' Altitude NS for a summer 2019 cria.